Lighting – it can be an afterthought when it comes to decorating your home, or perhaps you think that it can’t easily be changed. There’s a lot that you can do with lighting and we have witnessed a recent surge in interior designers focusing on it. One popular style in particular is pendant lighting. Pendant lighting hangs from the ceiling, making a statement and can work for every room in the home thanks to its versatility. Pendant lights are great for drawing the eye upwards so they are ideal if you have high ceilings in your living room. You could opt for one pendant light or a few to make a design statement. In terms of style – the choice is yours. You could choose a brushed or plated metal finish if you prefer a modern industrial style, or ceramics and glass for a more elegant feel. In the bedroom, there are a couple of places to put pendant lights. You could swap your bedside table lamps for pendant lights which hang at either side of your bed. You could also use a pendant light over your bed – just make sure that it is high enough to avoid any accidents when you sit up! 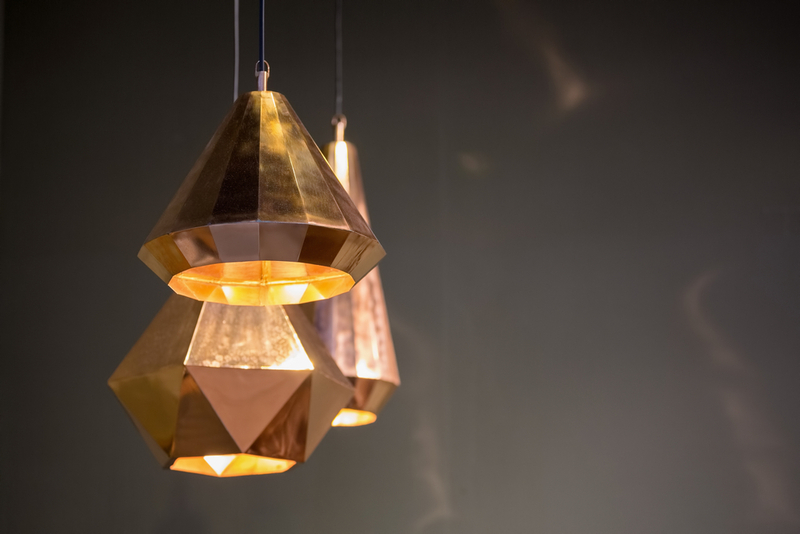 Some of the best pendant lighting styles for the bedroom are geometric shapes and chandeliers. 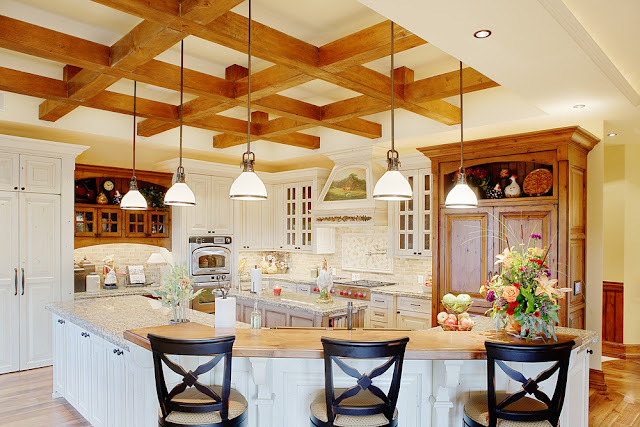 The best place for pendant lights in the kitchen is over your island or dining area. You may want to use a dimmer switch if you also use these areas to relax as pendant lights can provide a bright, focused task light. LED pendant lights are a good choice for the kitchen as they work well with dimmer switches. A popular interior design trick for pendant lights in kitchens is the rule of three – place three pendant lights over your island or eating area. Metal pendant lights look great in the kitchen as they will co-ordinate with cabinet handles. Pendant lights are brilliant for open spaces such as the hallway. They generally look quite artistic, so they are great to use as artwork. Think geometric style or even a large drum shape – don’t be afraid to make a statement. Your hallway isn’t always an area that you can decorate very easily, so make the most of the light! Pendant lighting is a great choice of lighting for the home as it comes in so many different shapes and styles. You can choose a lighting to suit your decor style whether that’s an exposed bulb for an industrial look or a drum-shaped pendant for a contemporary room. Pendant lights can assist in reducing clutter in your home as they reduce your need for lamps. Choose a shade with cut-out pieces and it will cast beautiful shadows in the room.Use your pendant lights as a colour contrast – yellow in a monochrome room, for example. If you want to hang pendant lights in your bedroom but you’re worried about bumping your head, hang it at the end of the bed. If you’re hanging a pendant light over your staircase, make sure its high enough! If you’re using pendant lights in the kitchen, choose a finish which is easy to clean – think about how greasy and steamy your kitchen can be! Odd numbers of pendant lights look better than even numbers. A pendant light should be hung around 28-32 inches above a table and 72 inches off the floor. Finally Getting A New 10k Personal Best!